While the average person does not see the code that backs most of our technological choices every day, there are others whose lives are consumed by creating code. More specifically, there are people whose job it is to create the code that makes your favorite video game, for example, function so effortlessly. As pointed out in Dr. Sample’s “Code” article, the reality above is one of the greatest features about code itself — that it is made by people (60). Now, another reality that Dr. Sample points out is the pay gap between male and female coders (the difference was at $9,000 in the article). 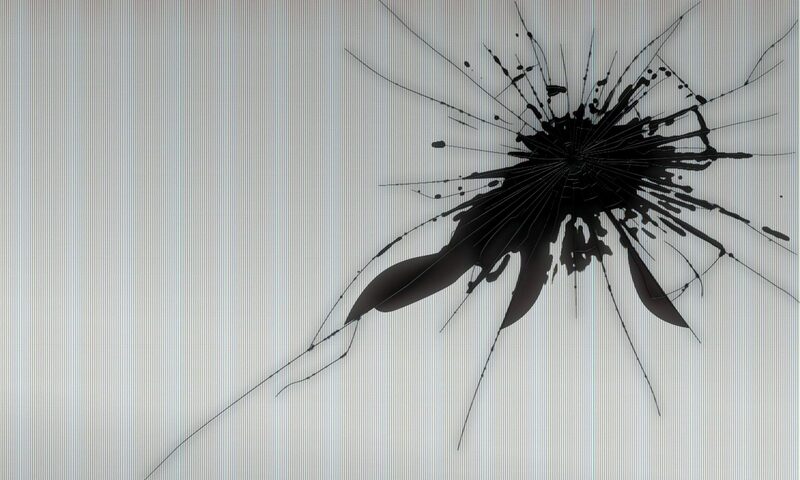 What is the reality like for women in the game development industry today? Catt Small, product designer and video game developer, gave a TEDTalk a couple of years ago on diversity in the game development industry (video above). At the time, she recalls that women made up roughly 22% of the workforce, with only 33% of the overall 24% being actual developers. Why is this number so low? She attributes these numbers to access to learning how to code and stereotypes about who can/cannot code. For middle school and high school I was privileged to attend Columbia Secondary School for Math, Science and Engineering, where engineering courses were mandatory for all students. While there, I was exposed to the world of code, an opportunity not afforded to most students attending public schools. While I do not plan on pursuing a career in code, I still valued the experience. The future of video games and code could lie in a middle school student, but if they are not exposed to learning how to code, then they won’t even know what they are capable of doing. Ultimately, the questions become: How do we become advocates of diversity in video game development? How will diversity in this realm affect gaming experiences? Posted from Digital Studies 101 by Rosalia P.
What we can say about code is that it is predictable. It does exactly what we tell it to do.Code is relatively static; once you write code into something and produce it, it is there to stay. With this being said it allows users of programs to predict the performances of software. Specifically, the predictability of code and there program functions allows for gamers to write cheat sheets to games. because they know the scenarios that will arise, they can produce manuals that explain how to successfully get through them. Most notably for me are the cheats associated with the Pokemon Go game. Gamers have “cracked the code” so that other users can get specific Pokemon and receive bonus points. For example, when first starting up the game, if you want to avoid receiving one of the basic initial Pokemon you can perform certain actions so that you are presented with a Pikachu.Similarly, you can do certain things so that your Eevee evolve into your desired Pokemon. By naming your Eevee certain names, you ensure that when you evolve it evolves into what you want it to. There are entire sites dedicated to provided users with cheats to the code of Pokemon Go and I am sure a plethora of other games. In fact these sites are regularly updated so that as code changes and users get further in the games, they can maintain cheats. The predictability of games allows for gamers to anticipate actions and mass distribute cheat sheets because they are confident in how they will work because of how static the code behind the game is. Code does what it is told and gamers use this to their advantage when developing cheats to games. Posted from Course Blogs by Shayla B. The way in which video games are coded has been a foreign concept to me since I started playing video games. 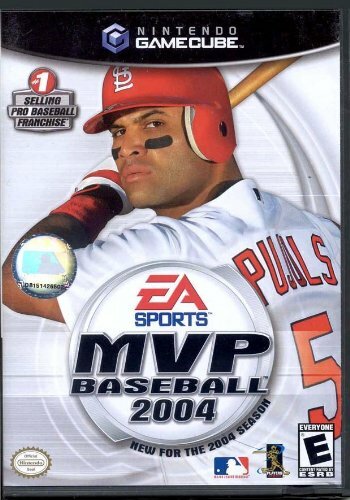 While I started playing video games when I was about 8 or 9 (MVP Baseball 2004 was my first), I never really thought about how the discs somehow allowed me to play the games until I was in high school. The technology was astounding to me then and it still is now. Upon first opening “The Naked Game”, I did not read the instructions, and immediately started to look at the game play as well as the lines of code below the game. The code that goes into video games is so foreign to me that it never crossed my mind that these lines could be altered. I immediately assumed that the code was just simply showing how the designers developed the game rather than offering a chance for the user to mess around with the game. To me, the fact that I was completely oblivious to the fact that the code could be tampered with before reading the instructions demonstrates just how foreign the idea of video game code is. My interaction with the code in “The Naked Game” was entirely unique for me in my experience playing video games over the past decade plus. I came to the conclusion that while being able to mess what appears to be the code (Mark Sample’s “Code” in Debugging Game History shows that users playing “The Naked Game” are actually interacting with a proxy for the code that is updated depending on the users), I enjoy more not knowing what is going on underneath the hood. To me, it seems that playing video games and analyzing the code that goes into video games should be separate. I enjoy playing video games because of the gameplay itself, not because of the work the developers did to put it together. Posted from Digital Studies 101 Blog by Patrick G.
Posted from Blog by Ashley W.
Tap the screen to fly. Do nothing and quickly feel the effects of gravity. Send the poor animal through as many Mario-like pipes before you will inevitably fail and see its death. This was the basis for the most viral video game that had ever been seen. Flappy Bird, originally released in 2013 by Nguyen Dong, swelled in popularity near the end of the the year. The simplistic gameplay, addicting nature, and easiness of attainability allowed it to reach #1 on Apple’s free app rankings. Unfortunately, Dong removed the game from the App Store in February of 2014, since all the attention he obtained from its success “ruined his simple life”. As a result, since the game was already so popular, other people began to clone the game and put countless other versions of the same thing on the App Store and the Internet, including a variation where you are a sperm. See for yourself in this video. As Dr. Sample points out in his work regarding code in video games, we see that “code” does not just refer to the lines of gibberish typed down by pizza-eating millennials. It also concerns the text, visuals, sounds, and other elements. As Sample put it, “it is a mistake to think about code as always and only instructions to a computer”. The “code” for the majority of the Flappy Bird clones employs the same flying-like controls for each game, with similar variations of shape, color, and presentation. Should doing this be fair, or is it like cheating? Rockstar Games, for example, frowns upon players when they “prepare derivative works” on GTA, which is kind of like what is going on here. In my opinion, people should not really be allowed to copy a game and earn money off of it like what many “smart” developers did with this sensation. If you do this, you are quite literally “stealing” the code and efforts of one’s original work to make yourself successful , which is what unfortunately happened way too often in the age of Flappy Bird. Griffiths, Sarah. “Flappy Bird Is ‘Gone Forever’.” DailyMail.com, Associated Newspapers, Ltd., 11 Feb. 2014, www.dailymail.co.uk/sciencetech/article-2556818/Flappy-Bird-gone-forever-Games-creator-pulled-app-addictive-product.html. Sample, Mark. “Code.” Debugging Game History: A Critical Lexicon, MIT Press, 2016, pp. 53–62. Dropbox, www.dropbox.com/s/70m9jnr0oztb78p/Sample%20-%20Code%20(2016).pdf?dl=0. “The MANY Clones of Flappy Bird.” YouTube, Google, 21 Feb. 2014, www.youtube.com/watch?v=NdXnvmuB23Y&t=21s. Posted from My blog by Wes K.
Code is a huge part of everyday life to do both simple and complicated activities, most technology we use is made up of code. Video games, as we have read, are no exception. To play a video game, everything in the realm of the game must be hard coded and modified to change as the player chooses, and how the games objectives flow. However, with this being said, there are ways to modify games and alter the code of particular games to create a different user experience then the producers or coders intended. One example of this it the famous game, Super Smash Bros. The third version of the game, Super Smash Bros Brawl, came out in 2008, but this version in particular, has been modified more than any other version. More specifically, programmers created an alternate version to the game that is called Project M. This version of the game has all the same characters, music, and overall setup as the original Brawl, however is different in some very key ways. Programmers made a way for there to be customization in choosing a costume for your character. For example, a character in Brawl is Samus. The Project M programmers programmed Samus to have costumes that resemble iron man, and the terminator, so users can use these costumes while they play Brawl. Project M programmers used code in this case to enhance the user experience of brawl, however this is not always the case. Some hackers or programmers hack games to exploit their shortcomings and take advantage of it, and make the game either unfair or not enjoyable. An example of this is a hack in Call of Duty. One Call of Duty hack, ” Our Call of Duty Black Ops Hack allows you to win every round, unlock all your weapons and shred the competition with our instant kill aimbot.” As we can see these hackers completely destroyed the game and took away from the overall user experience. As we have seen, code is the backbone of a video game, however, it’s how programmers and hackers use this code that can either contribute or undermine the user experience of the game. Posted from Stir Fry Education by Nicky E.
In his article The 10 Algorithms that Dominate Our Lives George Dvorsky details the numerous avenues in which algorithms dominate our everyday lives. Whether it be using from using a google search or seeing targeted advertisements on Facebook these computerized instructions permeate almost all aspects of our digital lives. While these algorithms are usually helpful Dvorsky draws attention to one application of algorithms that seems to have dangerous potential. Recently these algorithms have infiltrated the financials sphere and are being utilized to execute what is referred to as high frequency stock trading. And while this raises the usual ethical concerns around the replacement of human labor with automation, the dangers of automatic financial actions are more serious. Relative to humans these algorithms operate at hyperspeed and thus the sheer number of transactions is exponentially increased. Unchecked they can form a predator-prey ecosystem that can result in a downward spiral. In 2010 this culminated in a “micro-crash” where the market fell 1000 points in a matter of minutes before quickly rising again. These malfunctions are more or less harmless when talking about algorithms that fail to censor an offensive comment or an advertisement for something we would never buy but when dealing with finance the consequences are graver. These financial instruments are tied to real world assets that determine people’s livelihood. Mistakes could cost a pension or a savings fund. While there are undoubtedly countless realms where the efficiency and processing power of algorithms are invaluable and improve user experience, lack of regulation around novel financial instruments has put our country in hot water in the very recent past. I feel we should take caution in applying them to the most sensitive aspects of our lives where the risks are far greater.